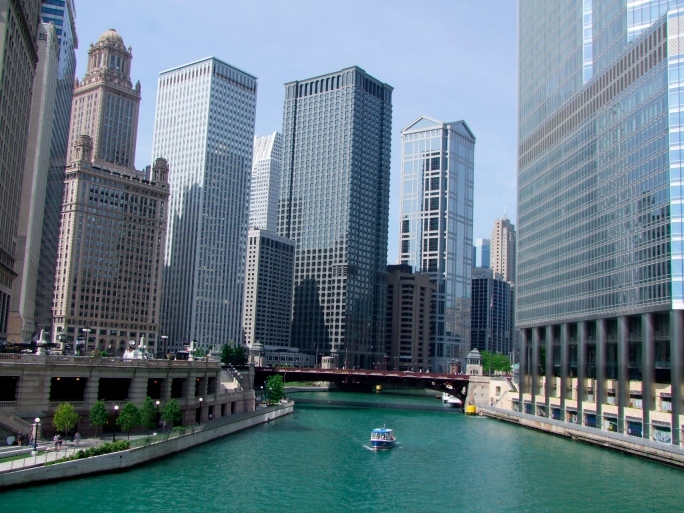 The Chicago River… one of the sweetest spots in Chicago that Chicagoans undoubtedly LOVE! There is no better way to enjoy it than experiencing it on a boat, canoe, or kayak. Many enthusiasts of paddling sports would agree that kayaking on the Chicago River can be a beautiful, fun-filled experience. Although an intermediate level of experience is preferred to kayak on the river, due to the busy nature of the Chicago Loop’s waterway, novice kayakers can also enjoy the excursion with the assistance of guides. The water of the Chicago River does not move too quickly, unlike other kayaking hotspots in the city. This, in effect, provides paddlers with an outstanding change of pace and the opportunity to experience a totally different view of the sprawling city. Apart from the busy traffic, which can be overcome through competent maneuvering, the river has astonishing paddling conditions and is definitely one of the most enjoyable routes to travel. Kayak racing is one of the most popular sports on the water. Rentals and guided tours are also increasingly fashionable in downtown Chicago, known as The Loop. It is of importance to note that both single and double kayaking tours and expeditions are available on the river. A great kayak to bring or rent is the Sun Dolphin Bali 10 SS, but make sure to get a nice pad for your bottom so you can enjoy a longer trip. It has an open cockpit and back support, as well as a storage hatch in the rear for a nice day trip. The panoramic view on the river of The Loop in Chicago is simply breathtaking. Adventurers get to experience first-hand the amazing fireworks at Navy Pier, the busy metropolis, and the classic architecture of this famous city as they paddle along the serene river walk and symbolic overpasses. In the evening, paddlers can enjoy the iconic scenes of the sun setting behind Chicago’s skyline, as they race against numerous other adventurers down one of the most scenic rivers in the United States. Paddlers can also enjoy the bustling activities of the central business district and the view of City Hall. Furthermore, kayakers can learn about Chicago’s history and heritage while paddling along on the river. As a matter of fact, paddlers can choose a relaxed 2 1/2 hour kayak excursion past the stunning skyscrapers of downtown Chicago and other magnificent sites such as the Merchandise Mart, the Civic Opera Building, the East Bank Club, the Willis Tower, and the Marina City Towers. These features, in effect, qualify the Chicago River as a favorite kayaking site for many locals and tourists. 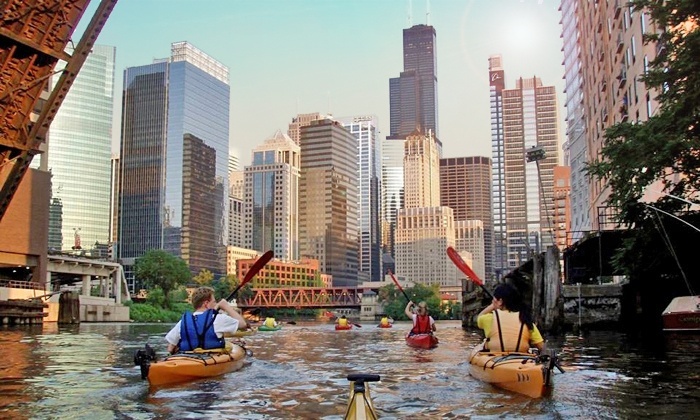 Several companies provide kayaking services on the river, with the most popular being Urban Kayaks, Kayak Chicago, Chicago Outfitters, Chicago Paddle Company, the Lincoln Park Boat Club, and the Chicago River Canoe and Kayak. Most of these companies offer kayak rental services, guided tours across the Loop, training programs for paddling and canoeing, group fitness classes, as well as social tours. Urban Kayaks, in particular, offers a multiplicity of trips and guided tours across the Loop based on factors such as skill-level or experience, group type, age and reservation price. Other companies provide customized kayaking services that align well with the needs and expectations of paddlers. These companies always ensure that the exceedingly relaxed kayak expedition terminates with a return to the commencement point. 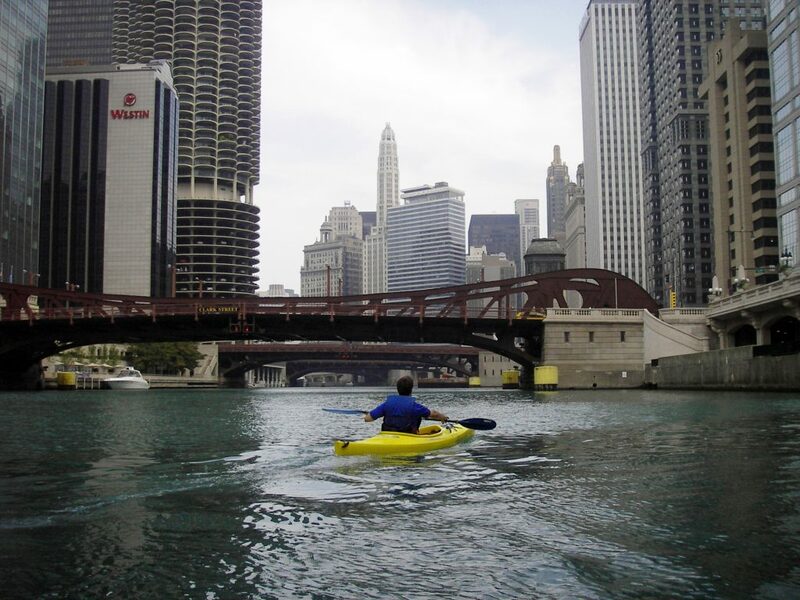 Overall, paddlers desiring to have a life-changing experience should consider kayaking on the Chicago River. Here, value for the money and personal kayaking satisfaction are guaranteed. Plan to visit one of the mentioned companies for a heavenly kayaking experience to view The Loop from the river. This experience, according to adventurers who have already paddled across, will certainly take your breath away.